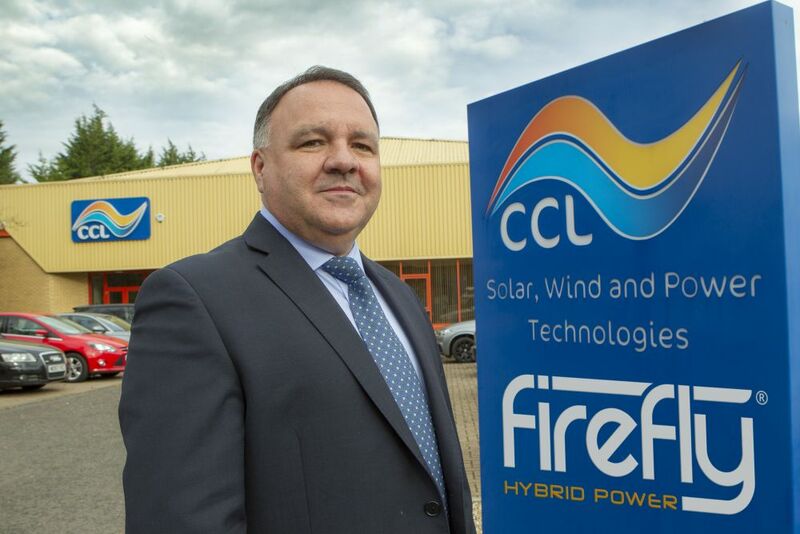 CCL Energy Group, one of the UK’s largest distributors of renewable energy systems, has acquired Firefly Solar Generators in a move which will increase group turnover to almost £30 million and pave the way for major expansion. Staffing is set to increase across the Glasgow-headquartered group by 50% to 44 with immediate effect. Employment is set to rise to 75 people over the next few years. CCL Components, established in 1997, has become one of Europe’s largest distributors of renewable energy systems. Its parent company CCL Energy Group also includes The PowerStore Inc in Dallas, Texas, which gives CCL a platform for growth into both North and South America. Renamed as Firefly Hybrid Power Ltd, its portfolio of clean energy products will be combined with CCL’s own recently developed Powerplus range of hybrid power systems to help the expanded business secure a larger share of the clean energy market. The new company will be managed by David Piper, a previous employee of Firefly, who has significant technical and sales experience in the sustainable energy sector. Director Paul R Brooks said: “This acquisition reinforces our commitment to Powerplus and the Renewables and Clean Tech sector across the globe. Our ambition is to achieve group turnover of more than £50 million – this move bolsters our ability to make that target a reality. Firefly Hybrid Power Ltd. will lead future developments in the manufacturing division of the CCL Energy Group. The company will continue to design and build hybrid power systems for a range of applications, across a variety of sectors, to allow consumers to access power when and where it’s needed. Firefly products will continue to be developed to meet the needs of industrial and rental specifications, while the Powerplus range will provide hybrid power solutions for the fixed installation markets. CCL Energy Group will be able to introduce these products into new markets looking to reduce fuel costs, carbon emissions and improve air quality. Across all divisions, the group will continue to export its products across the world. Paul R Brooks added: “We aim to continue our investment in the Firefly Hybrid Power business both in the short and long term – adding key employees, improving existing products, and developing new products and services. This will enable us to become the leading supplier of hybrid power solutions.